We’re settled in and relaxed at our temporary home. It was a very productive first week here. I even caught wind of a local restaurant that delivers food to our area on Thursdays. For those of you from the US, it’s like fresher, delicious-er, much cheaper, Schwan’s delivery. 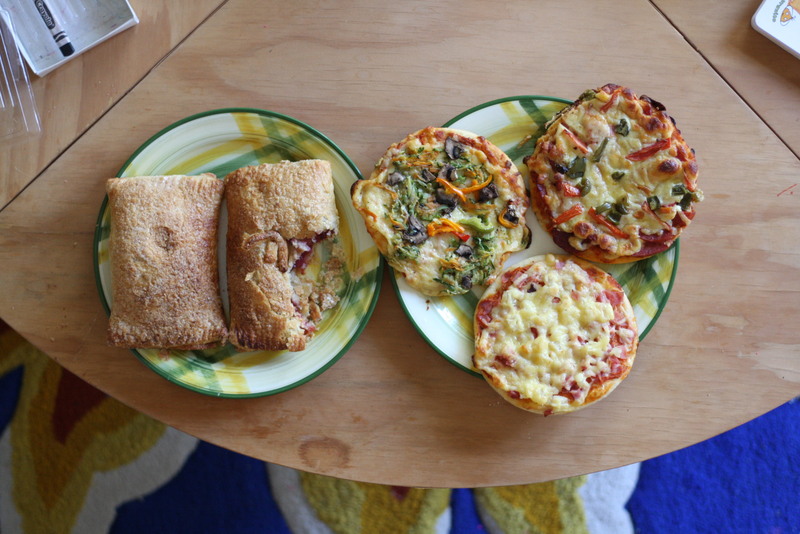 Fruit empanadas, so good they were partially eaten before I could get my camera, and three kinds of personal pizzas. When we first arrived at this house last week, as the neighbors were showing us in, iola screamed and begged to go back to “Carl car!!! !” over and over. That’s changed. 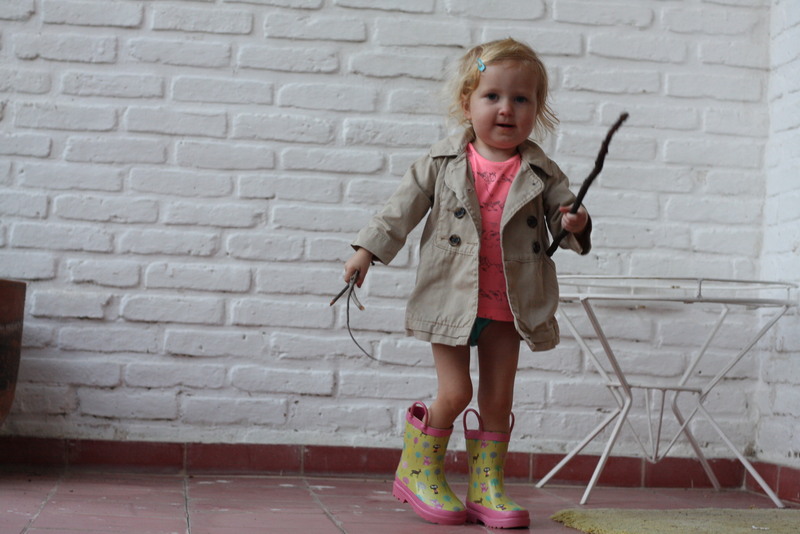 One of her wardrobe choices this week was rain boots, blue undies, a t-shirt, a trench coat, and noooooo pants, so we know she’s settled in too. Monday is the official holiday to celebrate the anniversary of the beginning of the Mexican Revolution in 1910. It wouldn’t be right to only celebrate for one day, so instead it goes on for over a week, and the festivities have already begun! 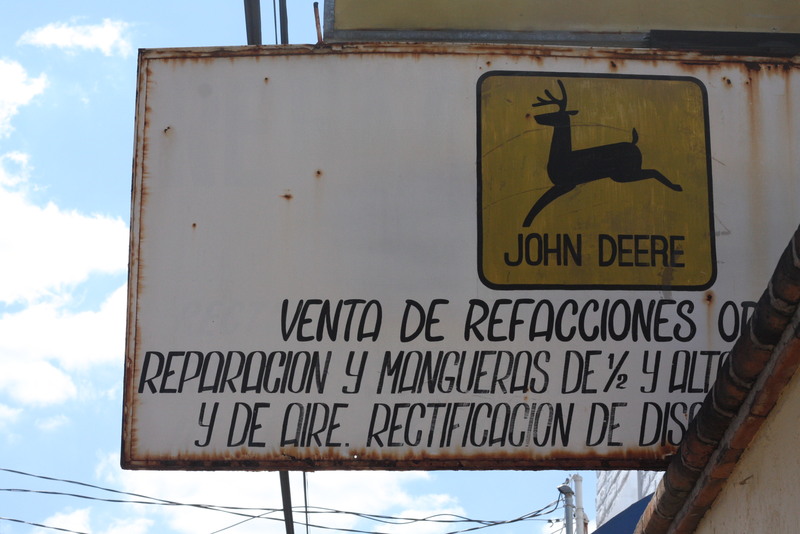 We visited a town northeast of where we’re staying called Poncitlán. I should know better than to choose a route that even Google Maps doesn’t give me as one of my options since we’ve already experienced some Google routes that were nearly impossible to drive on. 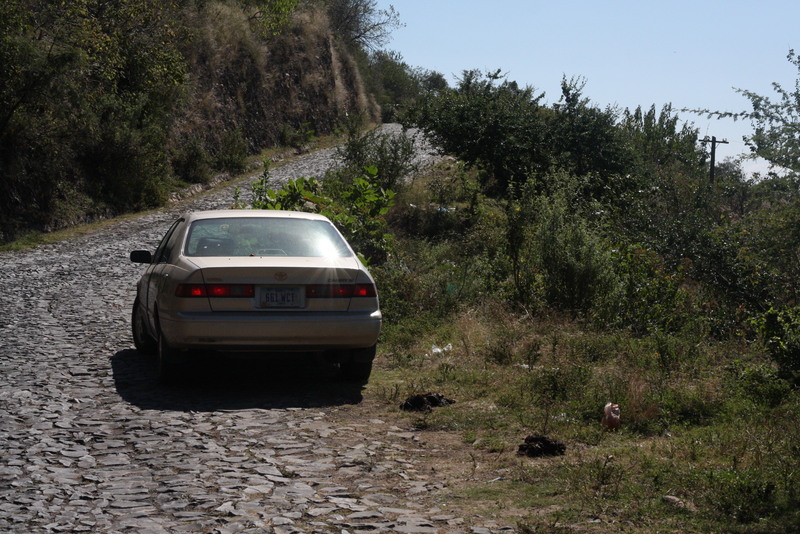 I chose a road that goes east along Lake Chapala, turning into what amounts to a small path after passing the town of Mezcala, and then we turned north and went through the mountains on a rock switchback road laid by hand. I was worried for poor Carl car. 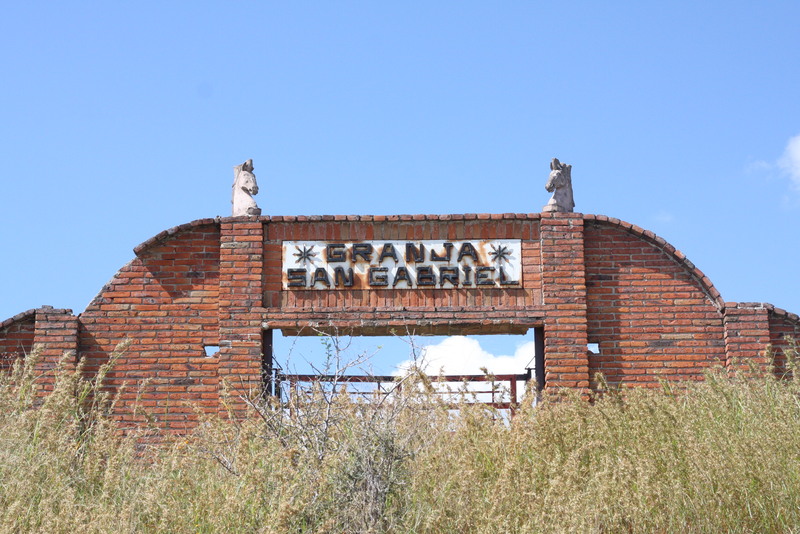 We definitely saw authentic Mexico, and we eventually made it without any known damage to Carl, so we were glad we took the scenic route at the end of the day. 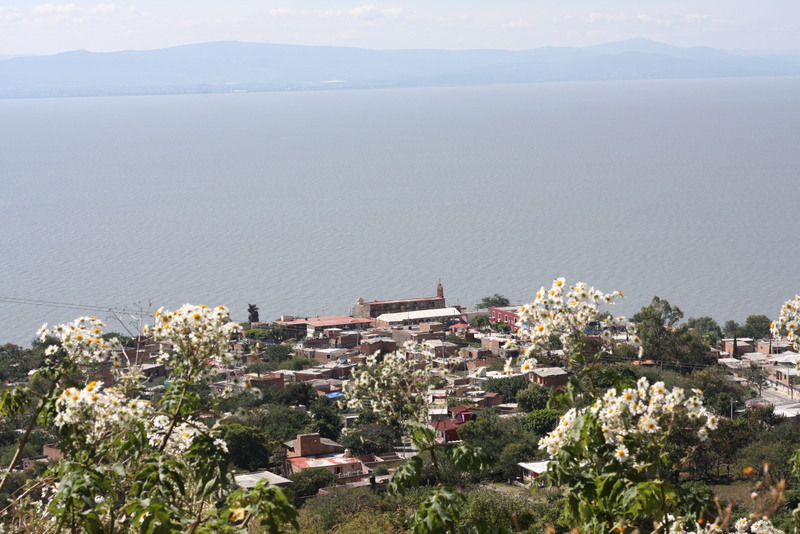 As a reference, Lake Chapala is about 12 miles wide (north-south) and 50 miles long (east-west), so in the picture below it’s about 12 miles over to the mountains on the south side. 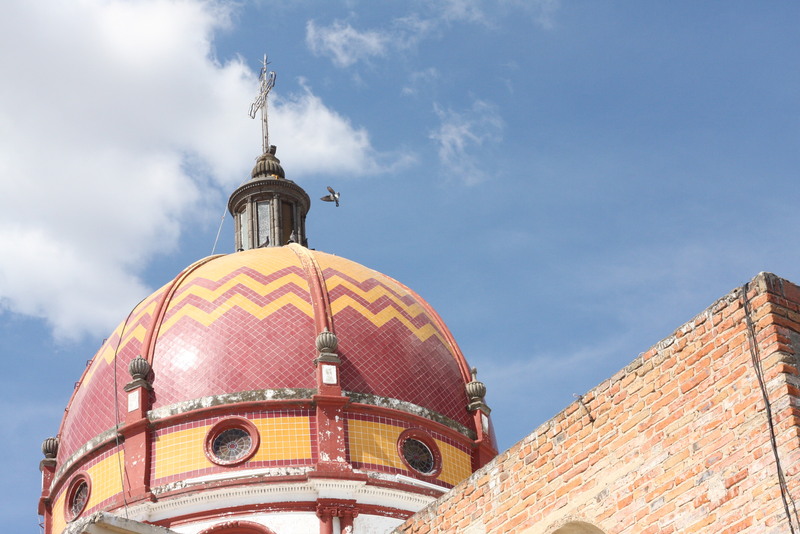 We wandered around Poncitlán, not having gone there for anything specific. We were unknowingly walking around the opposite side of town from where a lot was going on. 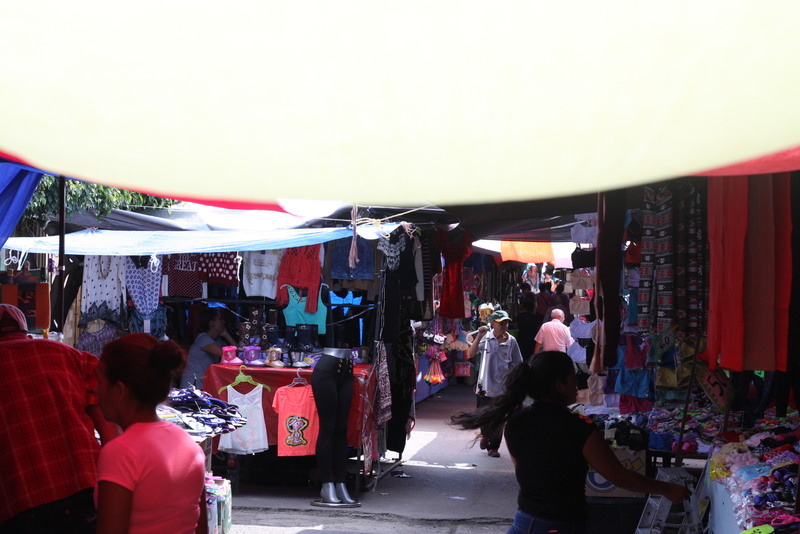 We could have easily left town without even knowing what we missed, but fortunately we stumbled upon a huge outdoor market we weren’t expecting. It would be like a flea market in the US, plus candy & food. 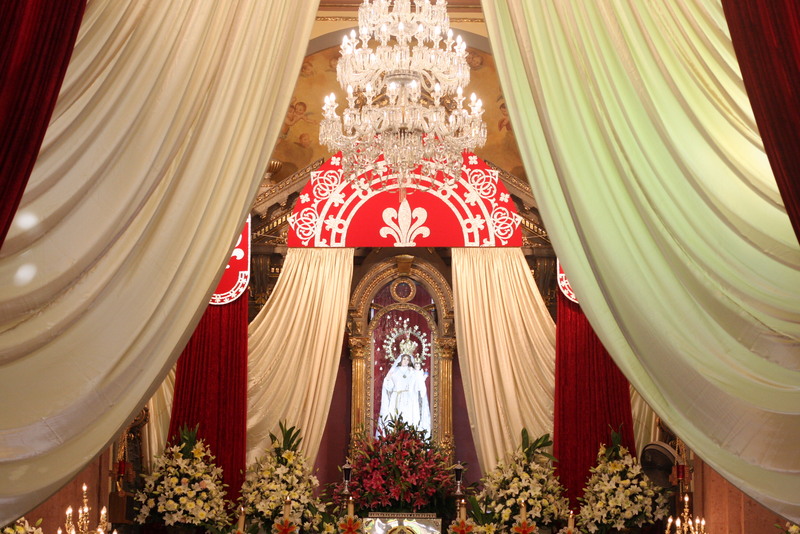 We wandered into a cool church because a mariachi band was playing inside. We still don’t know why! They played a few songs, people clapped, and just like that it was over. iola loved it and requested “más” when they stopped playing. We also happened upon a whole train where every car had laundry hanging outside and satellites on top, as well as air conditioners. As we turned the corner and saw the carnival rides, we connected the dots. It’s a carnival train! 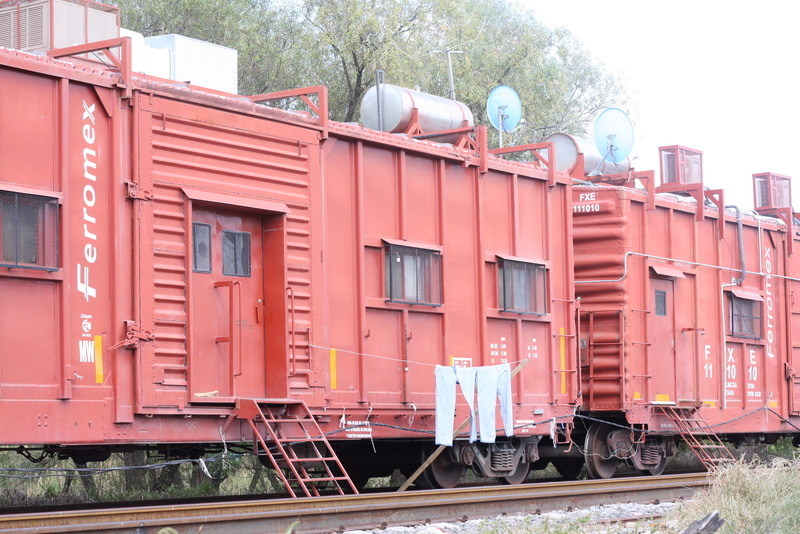 The workers live in the modified railroad cars and they bring the carnival to town by train. Everywhere I’ve been in the world there have been “scenes” where it feels like I could be somewhere other than where I’m at. 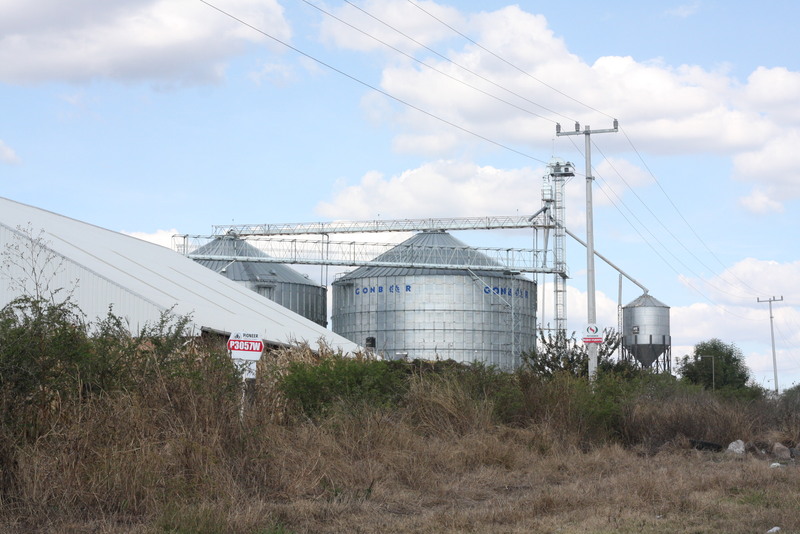 There are many times here in Mexico the predominantly Spanish architecture makes me feel like I’m in Spain (which I’ll dedicate a post to soon), however in this moment I felt like I was in Iowa, right down to the Pioneer Seed sign. Carrie loves visiting cemeteries. 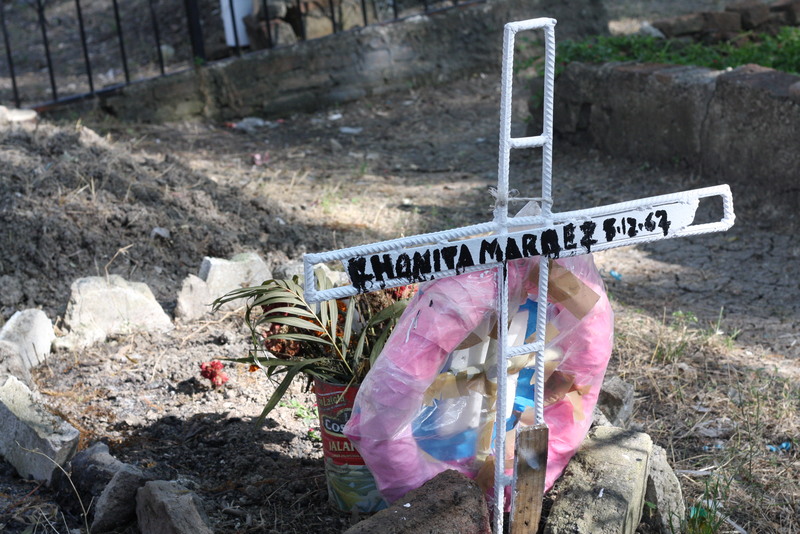 We’ve been to cemeteries in the US, Spain, Norway, Morocco, Costa Rica, Italy, some more places I’m forgetting, and now Mexico. 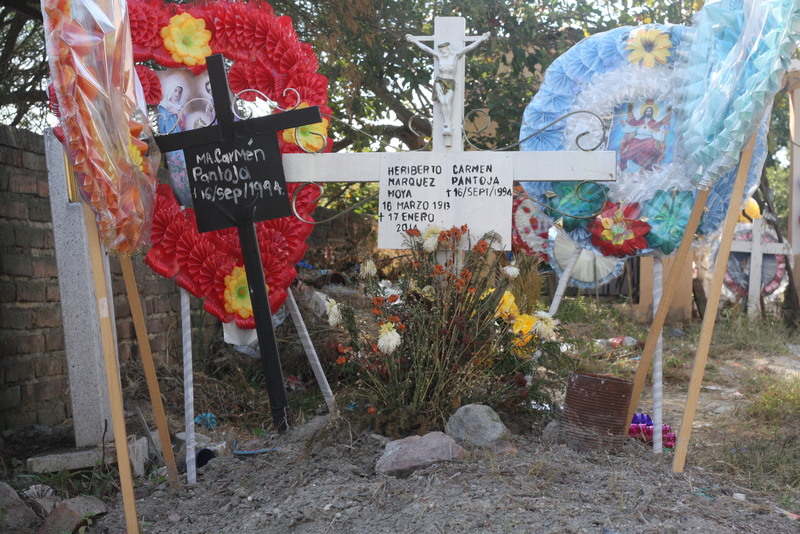 Here they are still heavily decorated from Day of the Dead celebrations. 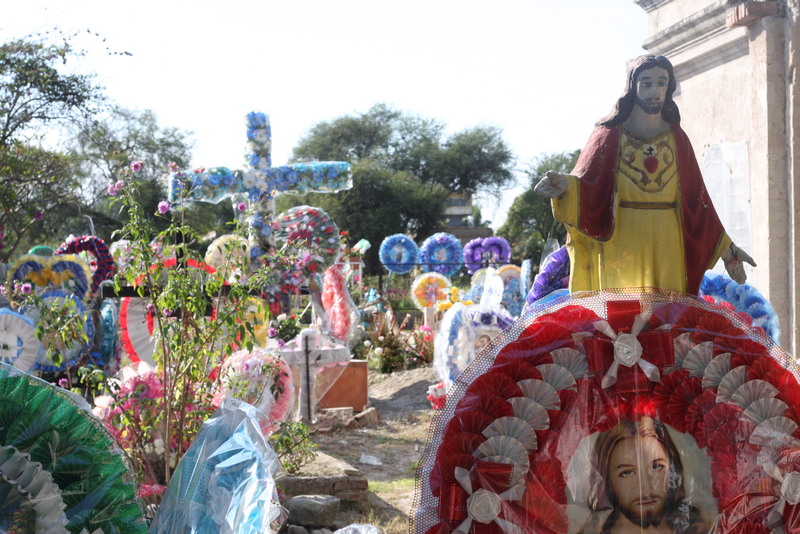 Mexican cemeteries are certainly different from ones we’ve seen elsewhere in the world. Most graves appear to be shallow with rocky soil piled in mounds on top. Many have very crude grave markers. This surely varies with the affluence & geographical location (read: soil type) of the deceased. If these were in the US I think they’d be deemed as sad, but I can think of many reasons why they could be considered better. Here’s one reason: instead of the emphasis being on the facade, the materialistic marble & granite representation of who that person was, the focus is on the family remembering who that person actually was. 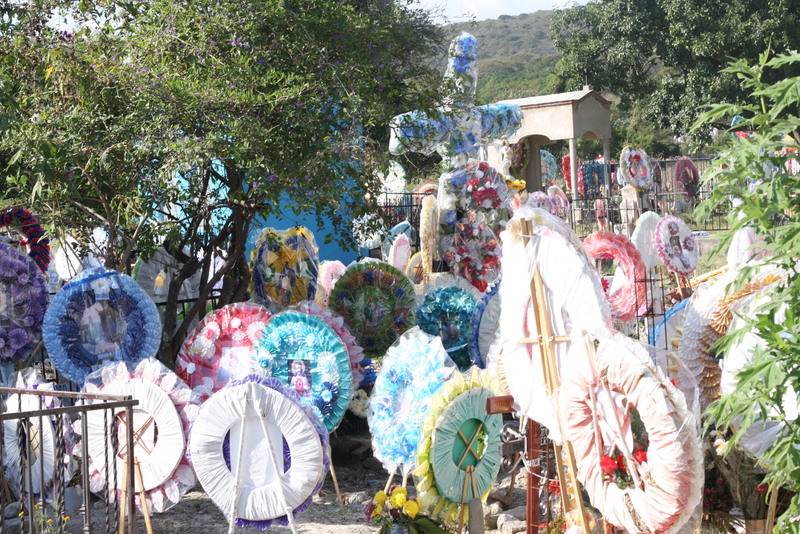 That remembrance is what Day of the Dead is all about. 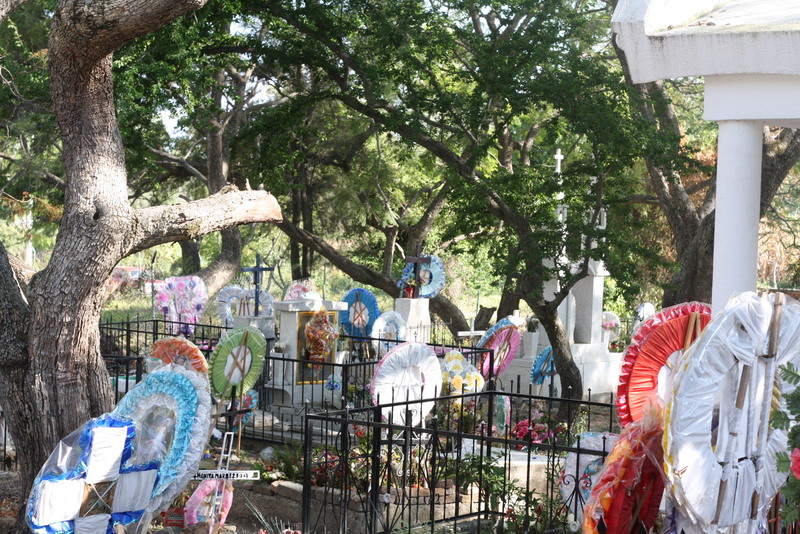 Then again some of the graves are indeed elaborate, so maybe my reasoning is wrong. Sadly, it might just have everything to do with the money that person had at the time of his death. In either case, everyone pictured was a person, an equally important person on this earth, regardless of the elaborateness off his or her final resting place. 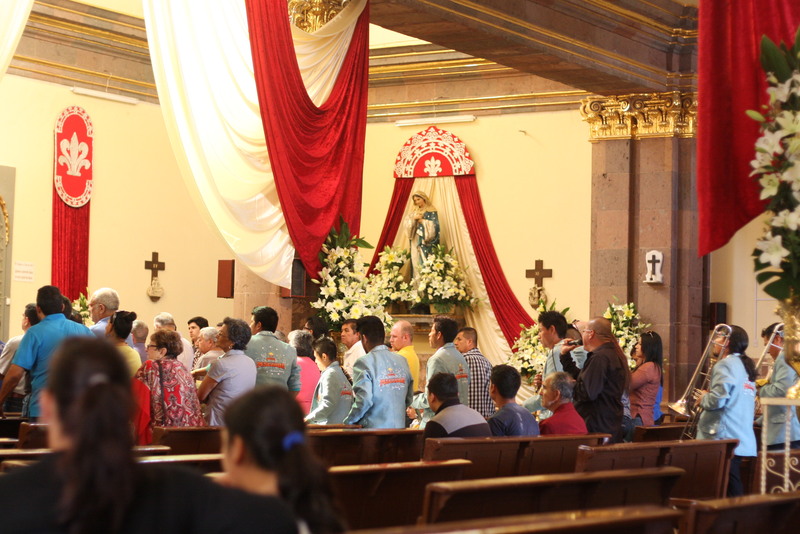 It appears to be a birthday mass for someone that was going on in the church. Beautiful pics!